It's late fall and the first snow not far. The foliage of the trees and shrubs shines in the most beautiful colors. The "salmon run" is over. Only a few stragglers still trying to reach the spawning grounds. 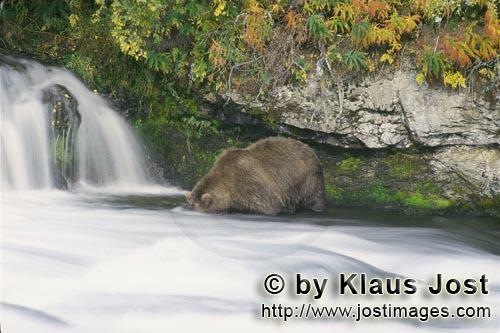 The Brownn Baer tries to capture almost dead and already dead salmon. The winter is long and hard and he is still trying to establish some weight.